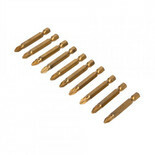 A set of 25 top quality Pozi Drive no. 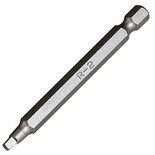 2 screwdriver bits, ideal for both trade and DIY use. 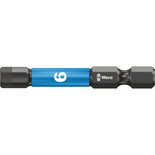 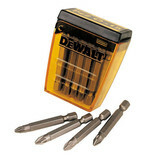 Thses DeWalt screwdriver bits are ideal for a range of tasks thanks to the durable and hard wearing construction. 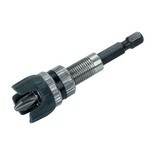 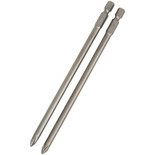 Manufactured from chrome vanadium for increased durability and a corrosion protected finish. 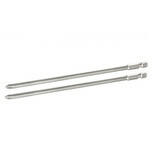 Extra long shank with 1/4'' drive. 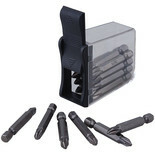 An 18 piece screwdriver bit set complete in a handy dispenser for easy access. 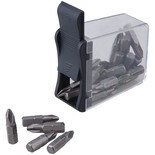 This bit holder incorporates a depth stop making it ideal for use with plasterboard/drywall, so the screwheads are recessed to the optimum depth. 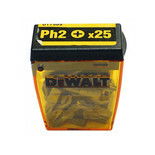 A 25 piece screwdriver bit set complete in a handy dispenser for easy access. 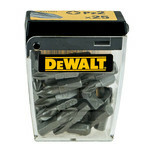 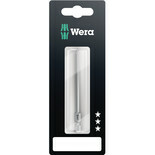 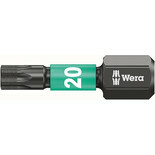 These screwdriver bits are designed for use with the Metabo Drywall Screwdrivers.